If you are a Mac user, then you will be pleased to know that you can now easily remove digital rights management security from your audio and music files without compromising on quality. 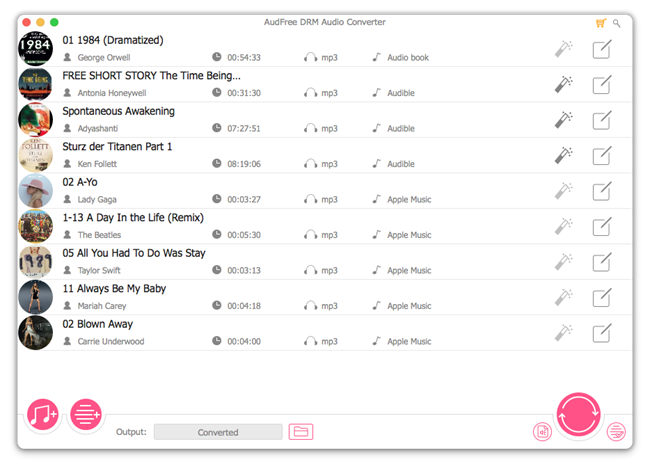 AudFree DRM Audio Converter is the one-stop solution to professionally convert DRM-ed audios, including iTunes, Apple Music songs, and audible audiobooks to any other audio file format i.e. MP3, AAC, FLAC, and WAV etc. This music converter software tool also works with non-DRM audio files and offers many useful features and functionalities to convert audio files of any format. AudFree DRM Audio Converter is the most comprehensive software and offers the wide range of options to help you get full control of your music and songs and to get rid of digital rights management restriction. It doesn't matter what kind of audio files you have on your music library collection of Apple Music, iTunes, or audible audiobooks, you can easily play your music files on any music player device after removing DRM security. 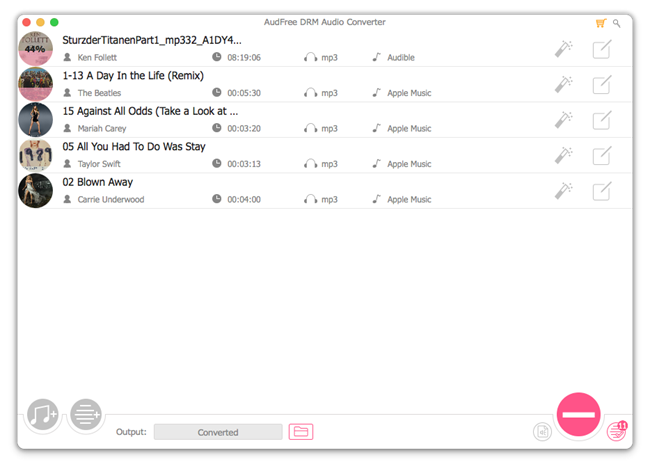 There are many Apple Music Converter for Mac tools are available online, but you will not find a single tool to provide you an option to split large audio files in small clips with 30x super faster speed and as well as an option to convert and remove DRM restrictions from hundreds of music files in batch process without wasting time and effort. AudFree DRM Audio Converter can perform all these tasks single-handedly without requiring any third party plugins or add-ons. So what are you waiting for? Just free download and install and start converting audio files. DRM Audios: iTunes M4B, M4A, Apple Music/iTunes M4P, Audible audiobooks AA, AAX, etc. Non-DRM Audios: M4A, M4P, M4B, M4R, MP3, M4A, MP2, MPA, AC3, WMA, AAC, OGG, MKA, AIFF, RA, APE, RAM, WAV, FLAC, AAX, AA, etc. MP3, AAC, M4A, WAV, M4B, FLAC, etc. How to Remove DRM from iTunes, Apple Music, and Audible on Mac? If you want to permanently remove digital rights management restriction from all of your music and songs audio files, then you can follow below guide and tutorial to do that professionally. 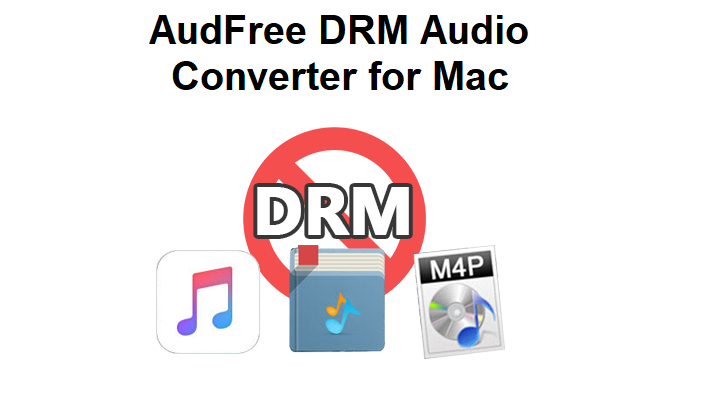 Step # 1: First you need to download and install AudFree DRM Audio Converter on your macOS system, then run the software on your computer or laptop. Step # 2: Here you can locate and import your DRM-ed iTunes Songs, Apple Music, or Audible Audiobooks files. Step # 3: After you import the files, you can customize and personalize the audio output and other audio preferences as per your need. 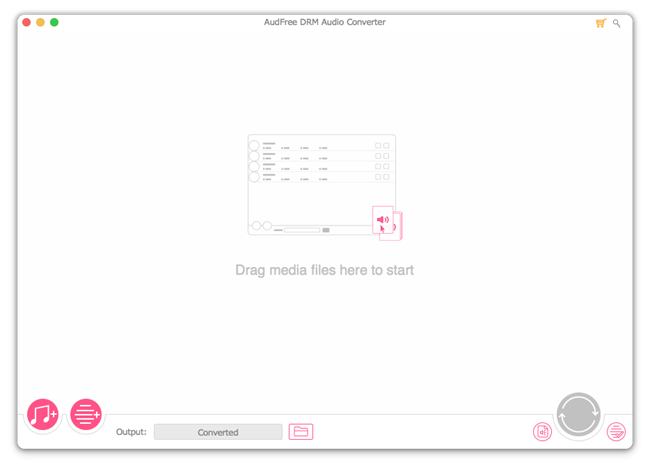 Step # 4: After making changes in audio output, you can press “Convert” button to start converting DRM audios into Non-DRM audios. 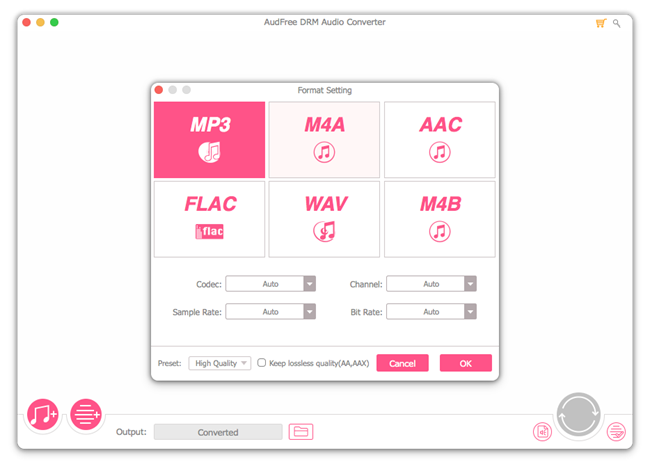 There many audio converter tools available for macOS all over the internet, but AudFree is the most comprehensive and features-loaded software offering many useful functions to remove DRM restriction from audio files to allow users listen to music and songs freely on any music player or device without compromising on quality and with much faster speed. I recommended my readers to try this software without any second thought.